Based upon over thirty years of Industry experience, Active Logistics aim to provide honesty, enthusiasm, respect, and integrity to our customers. We’re small enough to care, yet experienced enough to help with even the most complex logistics operations. This fundamental culture manifests itself in the provision of a quality service, industry compliance, and most importantly value for money. Experienced in meeting the demands of Blue Chip companies, and Oil majors. Knowledgeable in complex Logistics, and support technologies. Compliant with Health & Safety, Quality, Security, and Environmental Obligations. Aberdeen and Grampian Chamber of commerce. “Streamline Shipping Group Aberdeen have appointed Active Logistics to carry out the majority of their logistics / transport requirement work within Aberdeen & North Scotland for the haulage and distribution side of the business. Since being appointed Active logistics have provided an excellent / professional service for our Oil and Gas industry customers. The service level has been second to none and rates have been exceptional even through the various ups and downs and change in the economic climate, but the support has been excellent and we can’t fault this one bit! Active Andy is the company mascot and the newest member of the team. 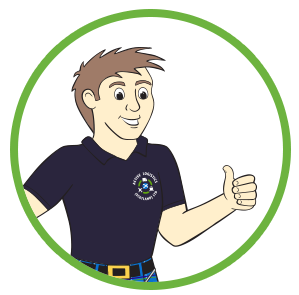 Andy pops up in various sections of the website – he is always ready with some friendly advice or helpful information – and is the “go-to guy” whenever we have a query. In his younger years, Andy was employed as a stunt double for “Oor Wullie” but had to give it up as he outgrew the dungarees and became too heavy for the bucket. His likes are: The Proclaimers, Highland Games, and deep fried Mars Bars, but his real passion is for all things Automotive. He tells us he is not an ambitious person, but has often been heard saying that things will be done much differently when he takes over the running of the company!